After the intrigues and excitements of their time in the city, the Darcys are more than prepared for a bit of peace and quiet at Pemberley. This is time that they can spend together as Elizabeth settles into her pregnancy. However, such serene solitude is not meant to be. First a letter from Lady Anne Fitzwilliam Darcy, long deceased, is discovered. The contents are both mysterious and prescient for Mrs. Darcy. 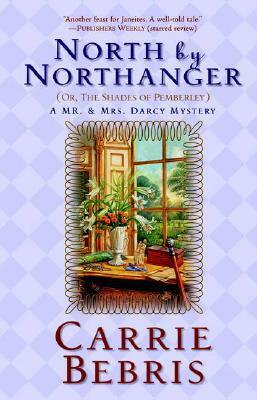 Then a summons to Northanger Abbey involves the young couple in intrigues that threaten not just the Darcy legacy and good name, but Mr. Darcy's freedom as well. ...and to make matter even worse and more uncomfortable for the expectant mother, Darcy's overbearing aunt, Lady Catherine de Bourgh, arrives on the scene to further bedevil Elizabeth. Add to this rumors of treasure and past scandals, and it becomes obvious that peacefulness is not at home in Pemberley, but secrets and spirits of the past are, and their revelations can have a most a chilling effect on both the Darcys and their family to come.